Dubai’s premium penthouses: who’s buying? The sale of ultra-premium penthouses in Dubai has been on the rise over the past few years. Two of the most expensive units were sold last year — a 29,800-sq-ft penthouse at One Palm by Omniyat for Dh102 million and a 14,000-sq-ft, full-floor penthouse at the Bvlgari Resorts and Residences for Dh60 million. There is certainly market activity, with unit prices ranging from Dh10 million to over Dh100 million, says Lewis Allsopp, CEO of Allsopp & Allsopp. He notes that there are now a good number of premium options as developers see a rise in interest from new buyers. “In Marina Gate there are beautiful penthouse apartments with floor-to-ceiling windows with views over the Marina & Emirates Golf Course,” says Allsopp. An emerging strategy is to add “ultra-premium penthouses” within hotel developments. 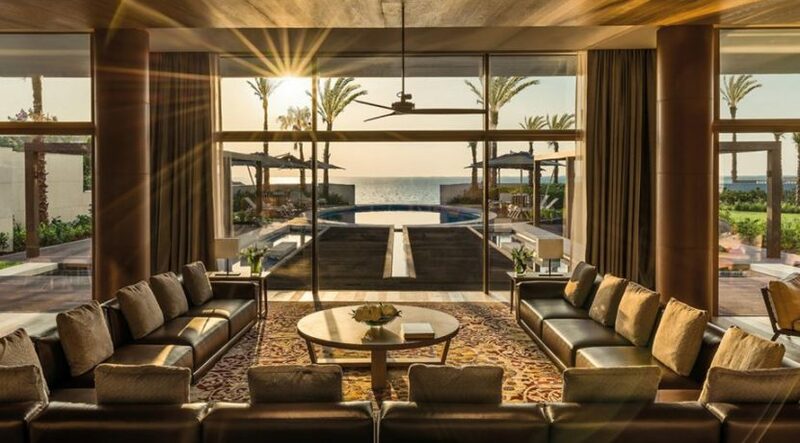 “With a hotel development, you get the spas, private beach access for those on the Palm, restaurants, cafés, bars etc., offering the best of a luxury lifestyle within your own home,” says Allsopp. Kunal Puri, group CEO and managing director of La Capitale Real Estate, considers penthouses as the Rolls Royce of luxury residences: regardless of market condition, there will always be buyers. Penthouse buyers generally request all sorts of additions or changes to a unit, from repositioning the kitchen sink to adding a sizable swimming pool on the roof terrace. These buyers typically purchase a unit in the early stage of construction. At One Palm, which already has three swimming pools, the penthouse buyer had requested a 20m private lap pool on the rooftop of the penthouse. Omniyat accommodated the request as it continued the project build. While the penthouse market was traditionally dominated by well-established business owners and high-level executives, the past two years have seen a lot of interest from young ultra-high-net-worth individuals (UHNI). “With the constant increase in the number of UHNI in society, this new trend would keep its momentum,” says Puri.